Every home owner’s goal is to keep their kitchen clean and organized. 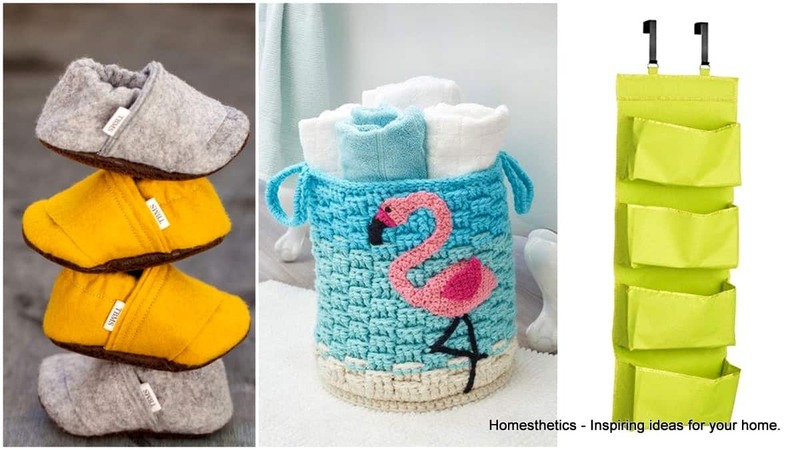 If you have set this goal yourselves, then I’m here to give you some tips so you can achieve a clutter free home easily. 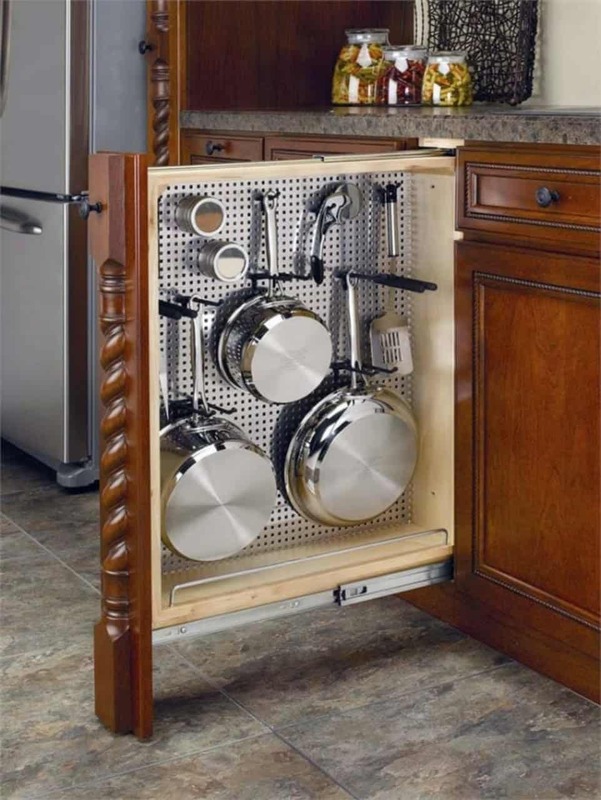 There are lots of tricks that can make your kitchen well organized with smart and well-thought out maximized storage. 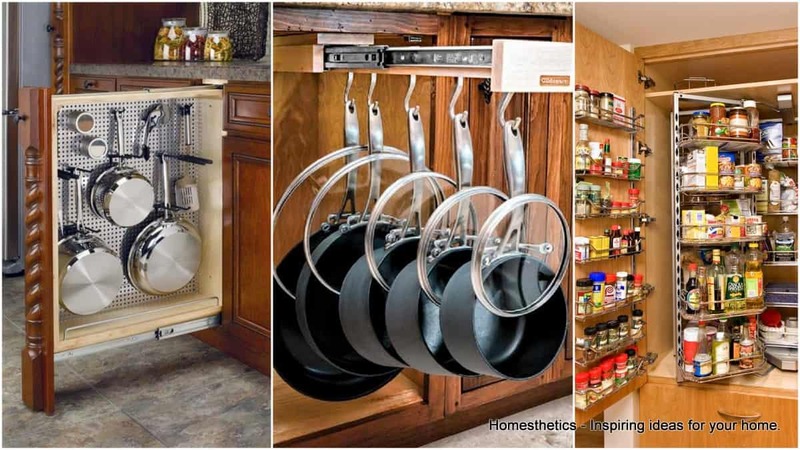 You are going to see some Smart Kitchen Storage Ideas That Will Impress You and teach you how to squeeze everything even in a small kitchen. Check them out and find the solution that will work the best for your space. 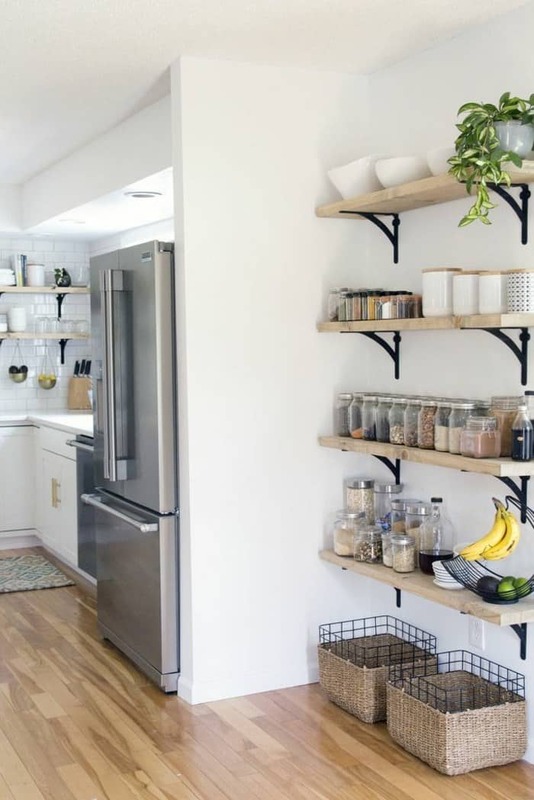 If you have an empty corner in your kitchen, we suggest you to add open shelves because in this way you can see everything that is displayed on them and locate things quickly. 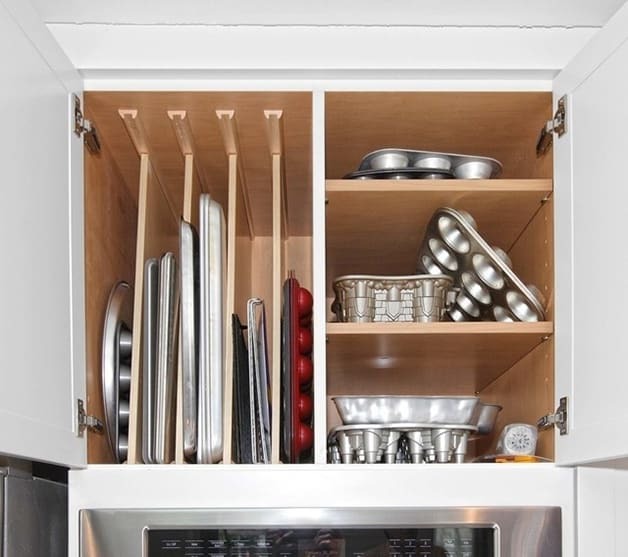 Pots and pans usually take lots of space, if the space allows it one should have separate cabinets for their storage. 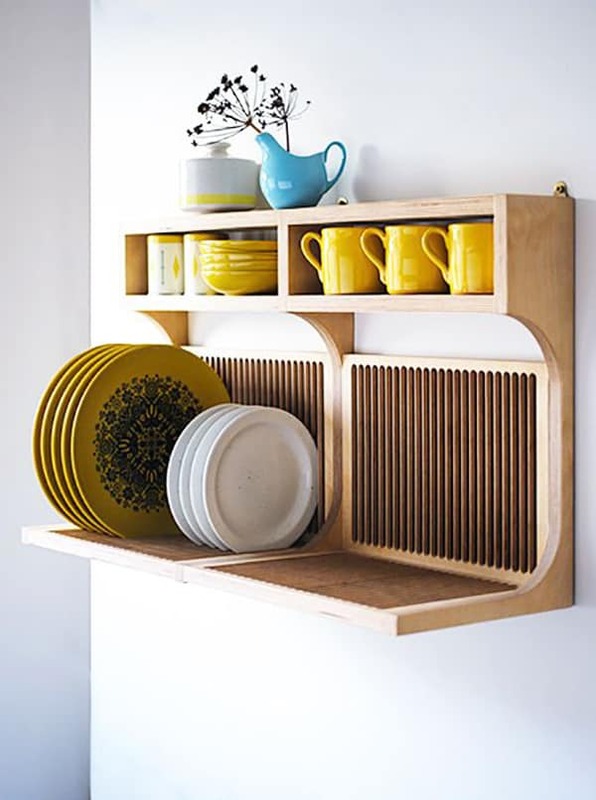 Don’t leave empty space on the walls, add shelving units wherever it’s possible. 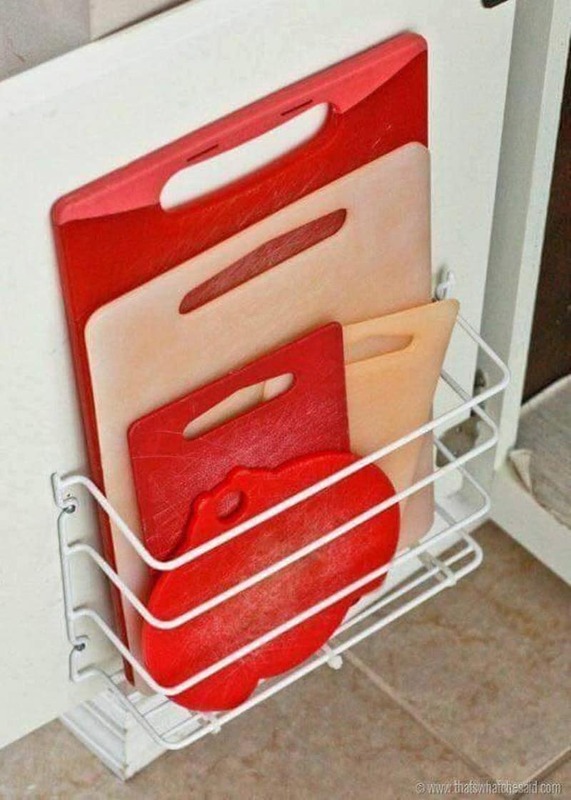 They will provide you extra storage for the plates and mugs that you are using daily. 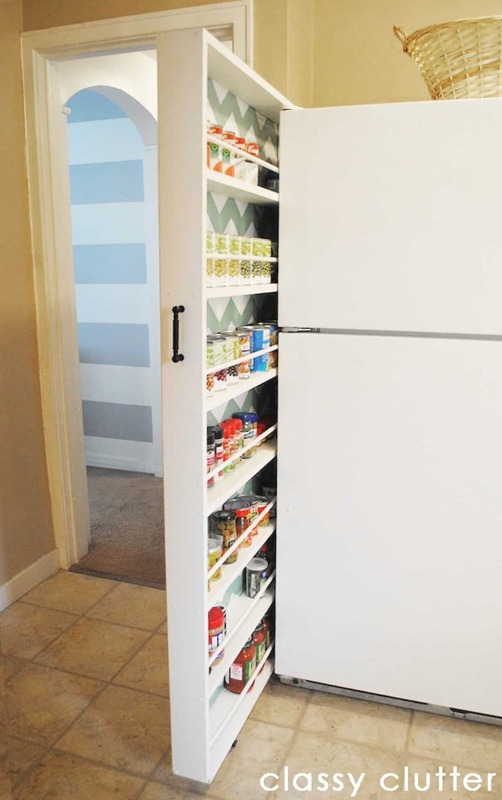 If there’s space between the fridge and the wall, use it to add a vertical drawer. 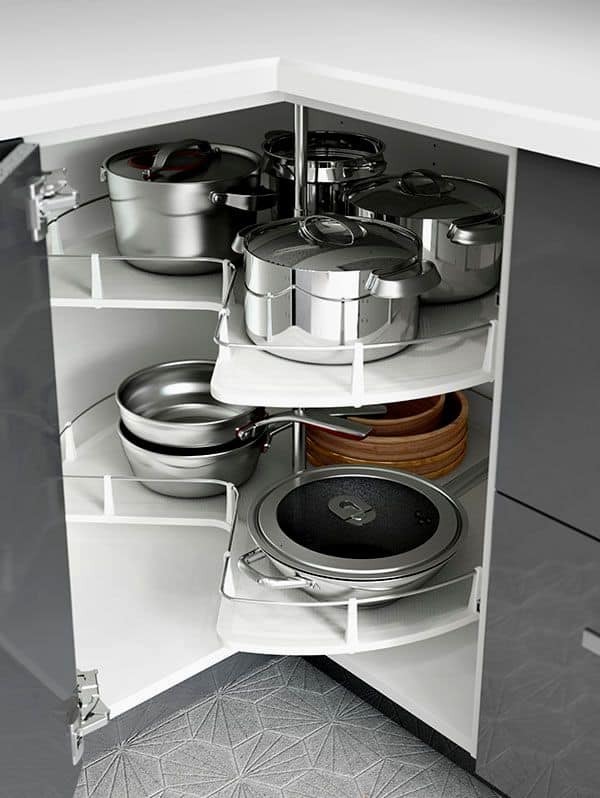 Here you will get enough space to store food in a practical way. How do you like the idea? 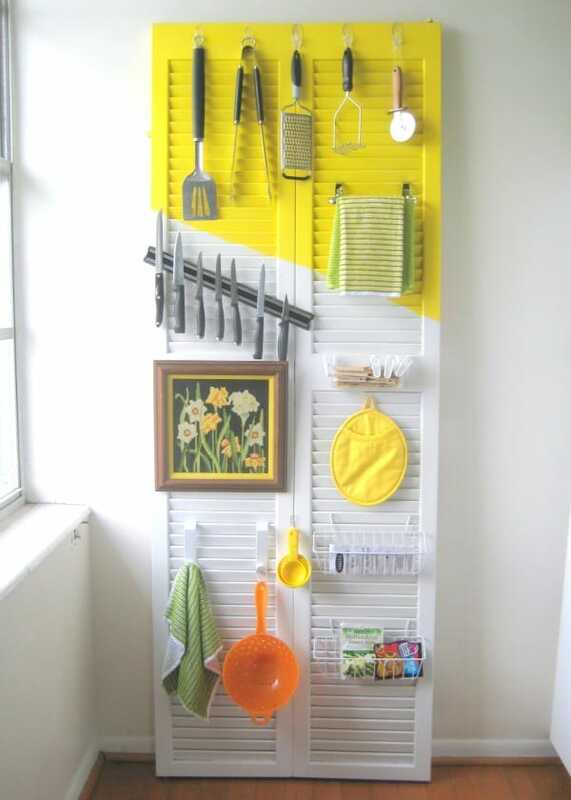 Reuse window shutters in your kitchen in a practical manner and get space to store your kitchen utensils. 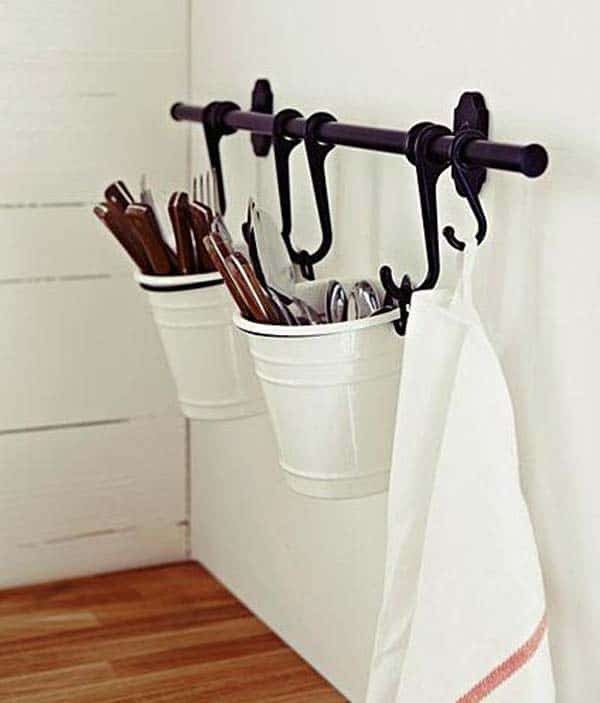 What do you say about hanging storage? 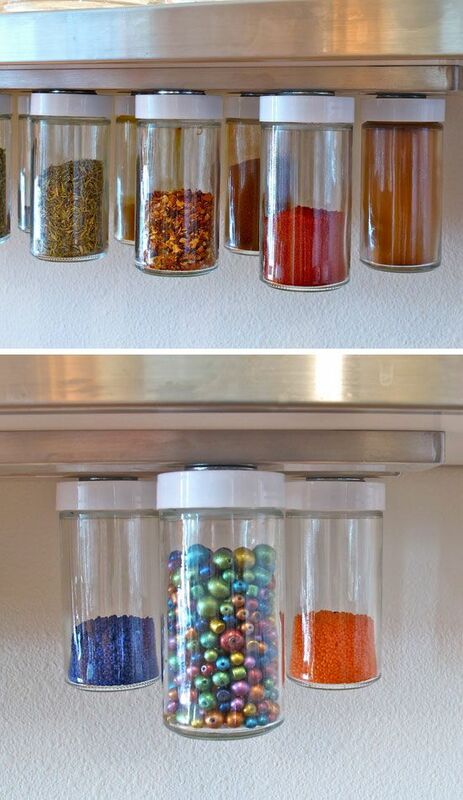 In this way you can use even the space that it’s not functional at all, add magnets under your cabinets and on your jar to suspend them! 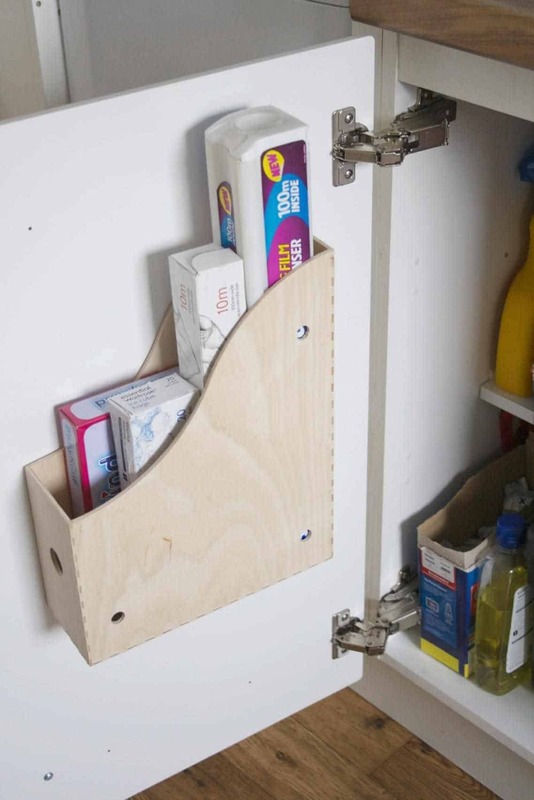 Don’t forget that the space behind the cabinet door can be used for storage, so use as much of it as possible! 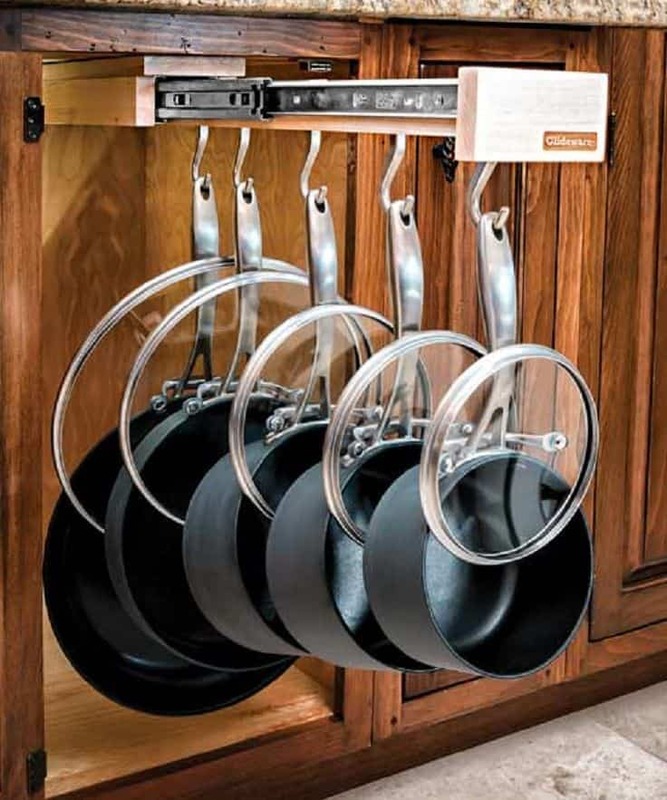 Kitchen utensils can make a big mess in the kitchen if they are not stored properly. 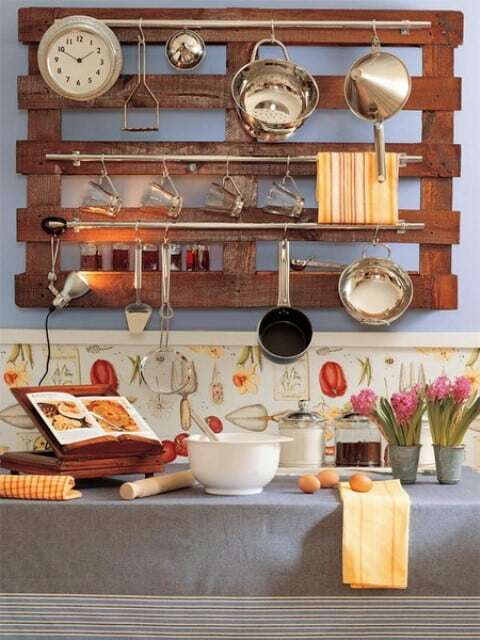 See some tips from the photo below and recreate them in your kitchen. 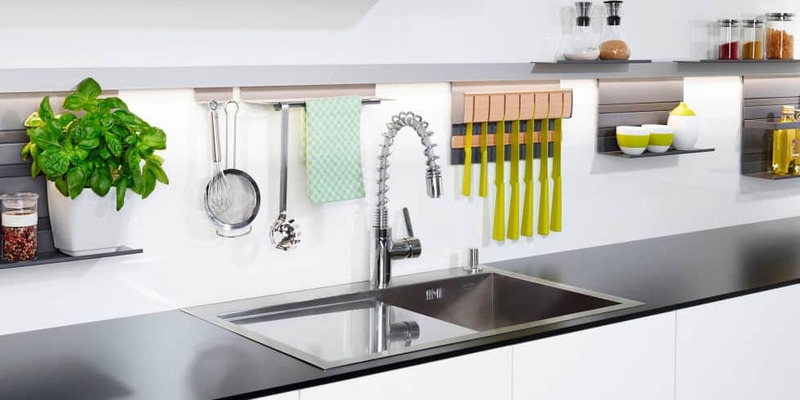 Pegboards can help you store lots of things in the kitchen, a smart project that you should definitely do! 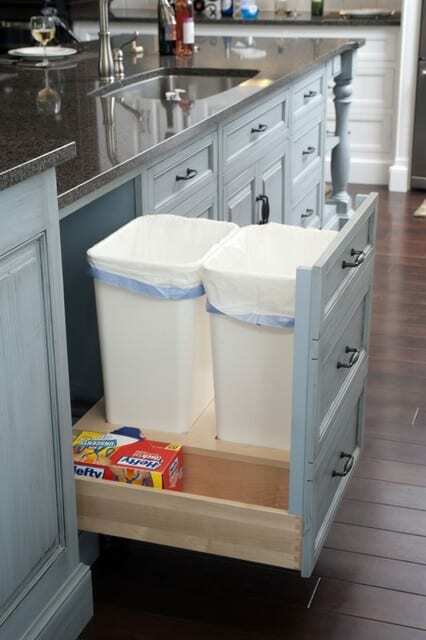 Keep the garbage out of sight and hide it in an empty cabinet. 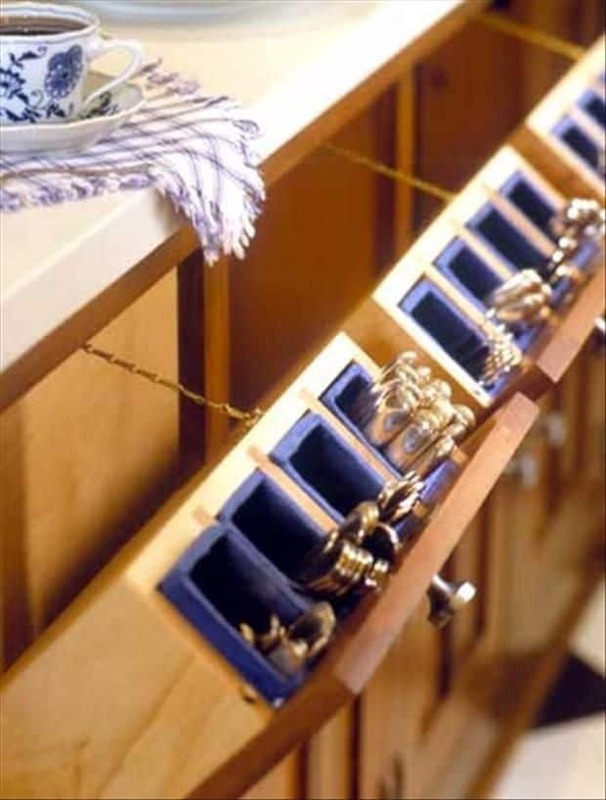 In this way your kitchen will look neat and polished. 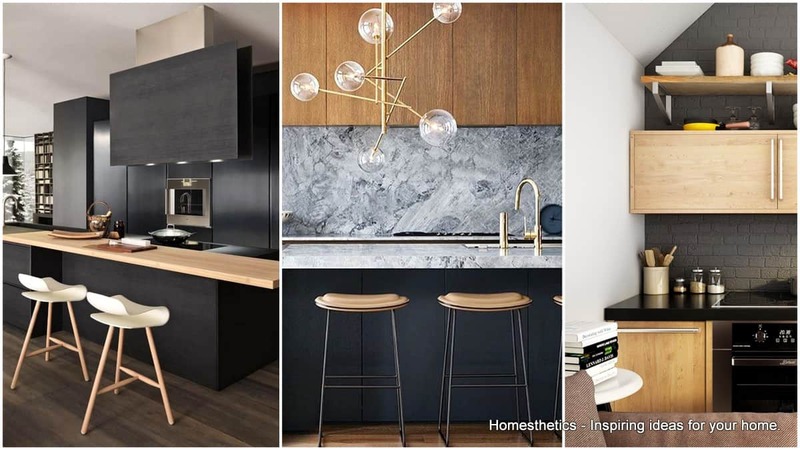 Are you a fan of wood palettes? 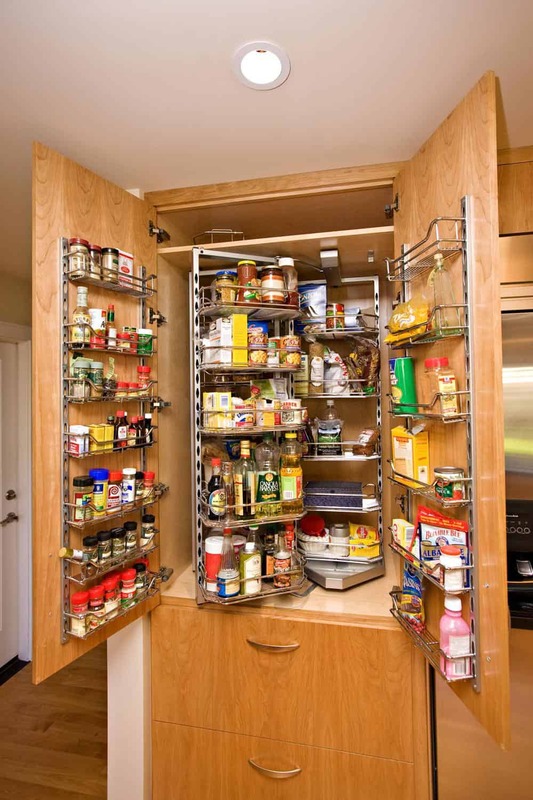 If yes, then think about adding it to your kitchen because it can help you a lot when it comes to storing things! 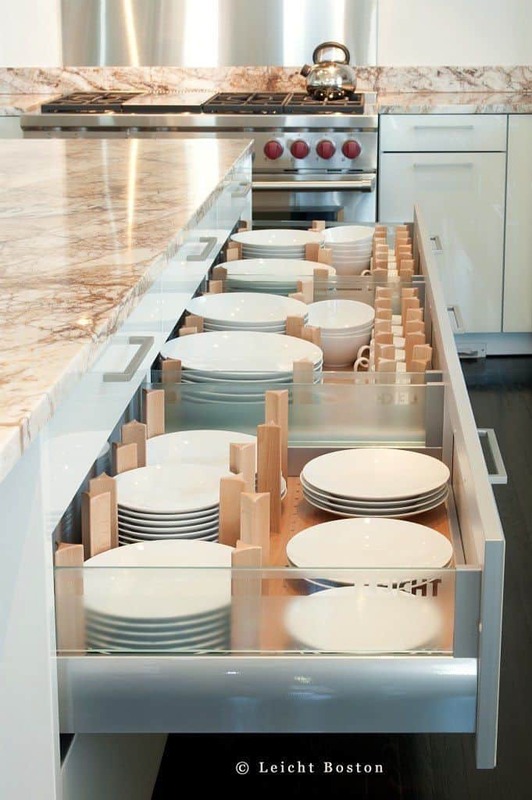 Aren’t these smart kitchen storage ideas just fabulous? 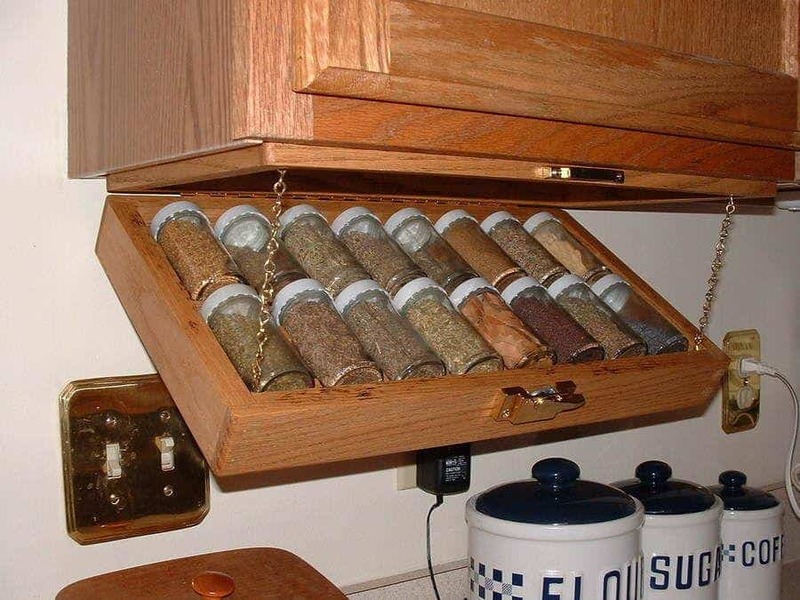 Have you found the perfect way to store things in your kitchen? I hope you did and that you are going to recreate them as soon as possible!